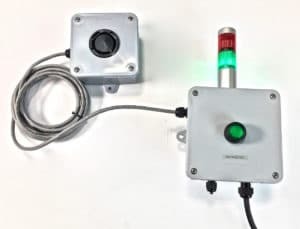 Extremely loud piezo-buzzer for unusual situations when maximum volume is necessary. The model SA-1 piezo buzzer is EXTREMELY LOUD. This is not for normal situations. Because the SPL is 110dB at two feet distance we provide the siren buzzer in a separate enclosure from the pushbutton enclosure so as not to expose an operator to overly loud sound levels at arm’s reach. 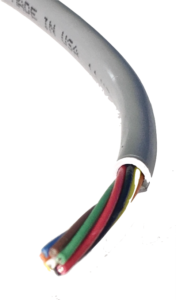 The piezo siren comes standard with 10 ft. of cable so the siren can be mounted up high away from the operator, which also helps to broadcast the sound over a wider area). Since this Siren Buzzer SA-1 is painfully loud, consideration must be given to the placement and use of this device. It will cause your eyes to water and your eardrums to hurt and a distance of two feet. See more information in the tab below “sound pressure”. 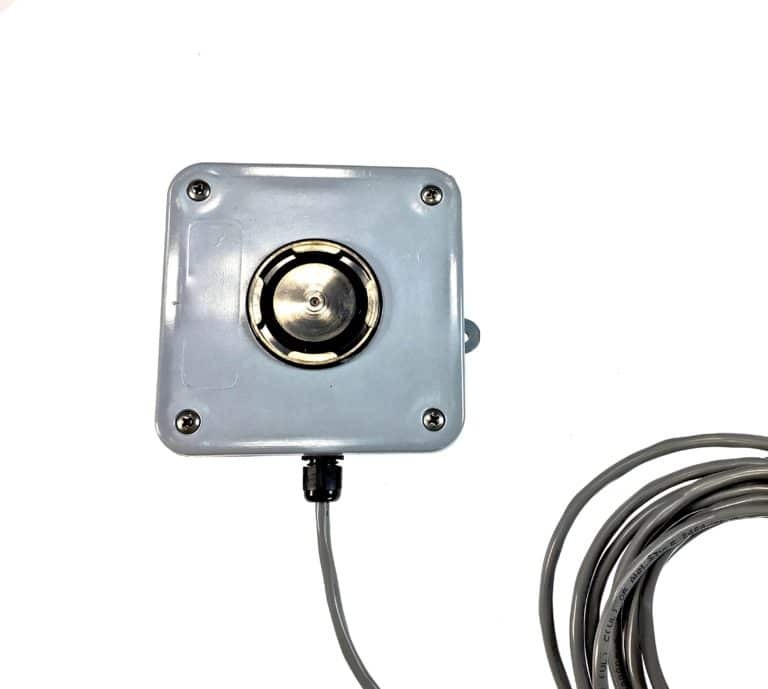 The siren alarm piezo buzzer can be substituted for our standard buzzers on any of our products. To compare, our standard buzzers are 103dB at the same 2 feet. This is a loud volume, comparable to most smoke detectors. For that reason we often get requests for a volume muffler to reduce the volume. Nevertheless, if a screaming tone is required, this will do it. The PVC enclosure measures only 4×4 inches. Stainless steel diaphragm will hold up in corrosive environments. In order to compare the sound level of the siren buzzer, this chart adjusts for the distance. You should know that it produces an SPL of 110 dB at 1m distance which is painful.